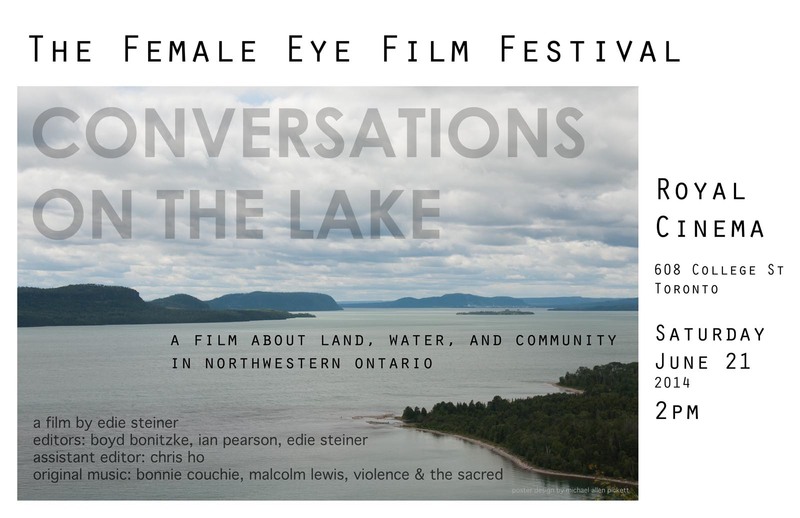 Please join me at the 2014 Female Eye Film Festival and photography exhibition, launching at Artscape, 180 Shaw Street, Toronto, on June 17 from 7 pm to midnight. My film screens at the Royal Cinema, 608 College Street, Toronto, 2 pm on Saturday, June 21. This entry was posted in Film, News, Photography by ediesteiner. Bookmark the permalink.